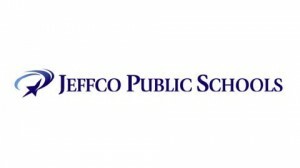 Complete Colorado uncovered damning evidence that the Jeffco recall did not cost nothing as previously claimed by recall proponents, but actually cost the Jeffco School District approximately $225,000. This finding comes on the heels of a march by 160 superintendents, including Jeffco Superintendent Dan McMinimee, on the State Capitol to ask the state for more money for their districts. Maybe Jeffco School District should ask its teachers union, which paid for the recall, for the money back. “We have been told there will not be additional costs for the recall if we are on the November ballot with the existing school board election,” Wendy McCord told Complete Colorado last July in a statement through the group’s media contact, Lynea Hansen. When will Wendy McCord apologize to the Jefferson County community for her rampant lies? And, will the union reimburse the school district for the $225,000?